I became interested in the Reeve foundation about a year or so ago. My daughter does not have paralysis, but she is in a wheelchair. And some folks told me I should check out some of the work they do, because it may be applicable. And I liked what I saw. So I joined their email list. Crickets. Then, a few weeks ago, I received my first email. It was an action alert on the President’s proposed budget. The budget would drastically cut back the Paralysis Resource Center. After that, I started receiving interesting, informative emails about life with paralysis, summer safety tips, and more calls to action. 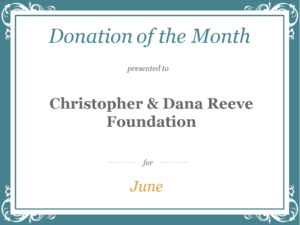 The Christopher and Dana Reeve Foundation – for getting me back on your email list, you get the donation of the month for June. 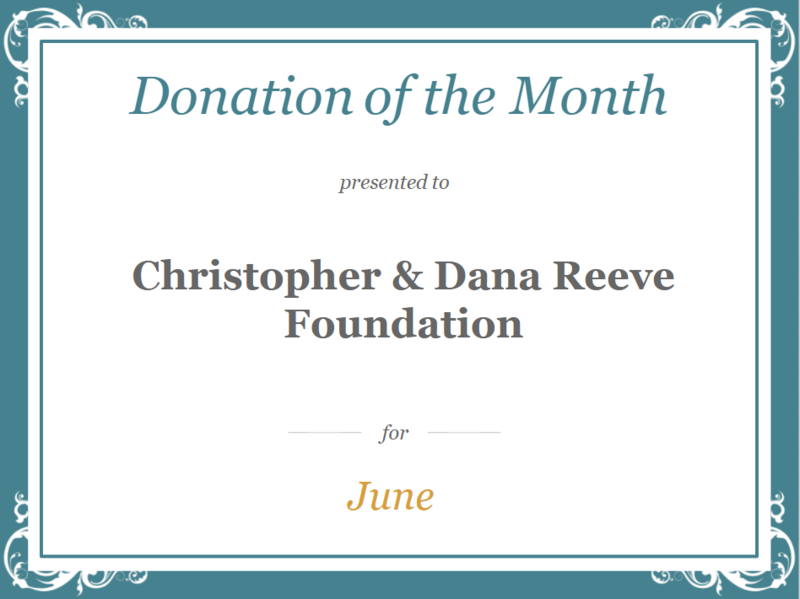 You can donate to the The Christopher and Dana Reeve Foundation.